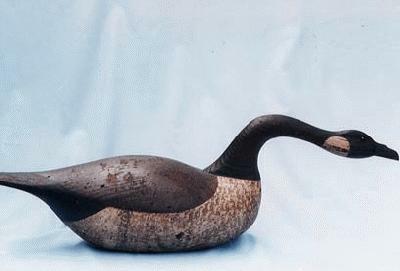 Our Mini Canada Goose (call) possess similar characteristic to our Large Goose but is carved in a smaller scale and it is not hollow carved. 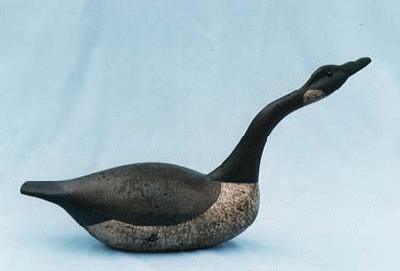 It is branded with the “WHITE” name and features include black glass eyes, lead weight, and a distressed finish. 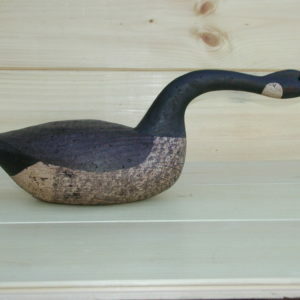 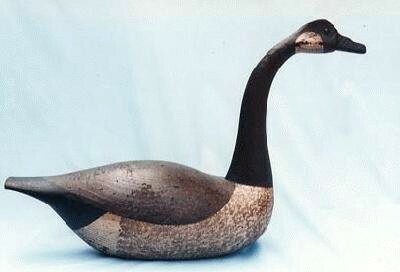 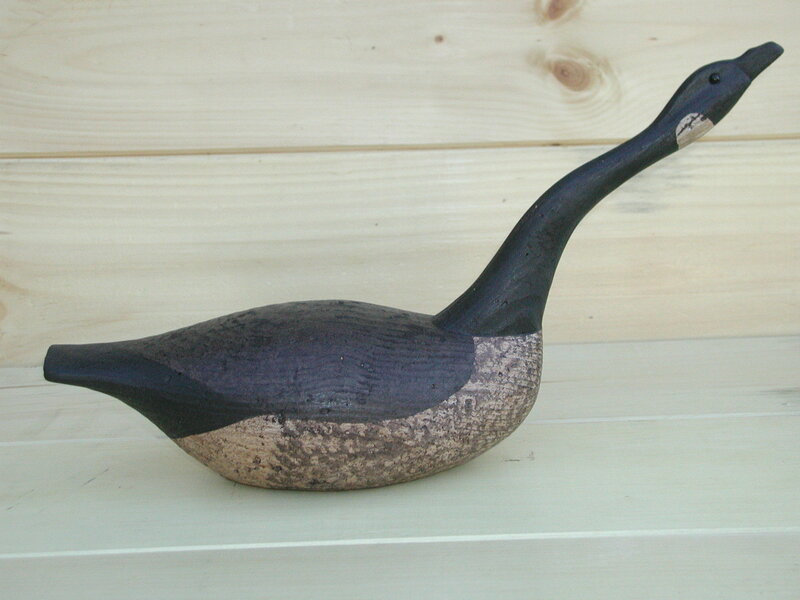 The Mini Canada Goose (call) measures 16” long x 5 1/2” wide x 8” high.